A busy night in the bookstore here, as Porter Fox visits, reading upstairs in our Mezzanine Level (aptly near the Travel section) for his new book of exploration of the border we in this part of the U.S. know, Northland: A 4,000-Mile Journey Along America’s Forgotten Border (W.W. Norton). Drawn from three years of travels and traipsing by almost every conceivable means, from our border with British Columbia on across to Maine, this book sheds light on what borders are, and are not. “Porter Fox’s wild trip across the rivers and lakes, prairies and mountains is at turns wondrous, meditative, and scary. In Fox’s patient telling, the northland is less a border than a threshold, a kind of otherworldly membrane wherein people are in conversation with the stream systems and watersheds upon which life depends and that political boundaries work to ignore.” — Robert Sullivan. 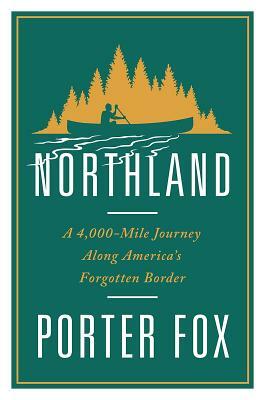 “In this rip-roaring adventure story, Porter Fox illuminates every imaginable facet of the northern border: historical, natural, economic, environmental, geopolitical, and, above everything else, the human.” — Neel Mukherjee. 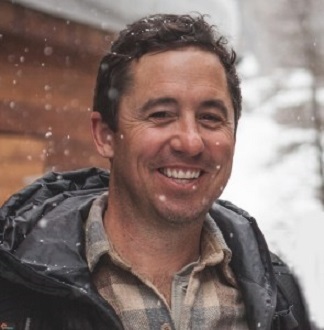 Porter will be appearing in conversation with John Stifter of Powder Magazine.